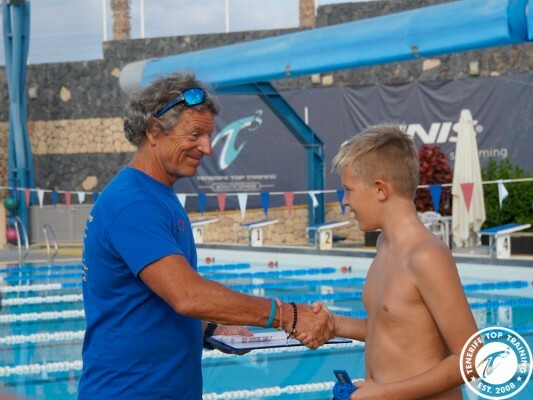 When do you have the opportunity to exercise in a pool that meets the Olympic standards, under the sun of Tenerife and as a coach none other than the Olympic swimmer and coach Glen Christiansen at your side? 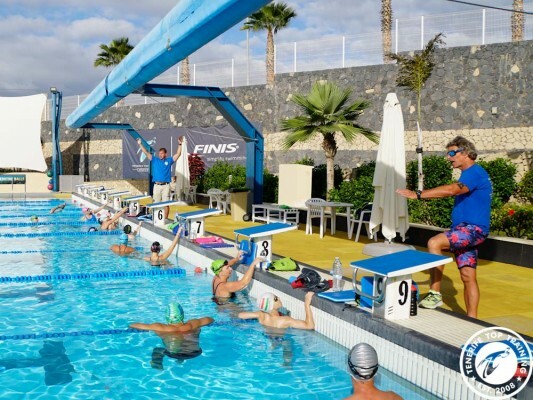 This is probably only the case at the Tenerife Top Training (T3), when Glen Christiansen offers his popular flex camp for swimmers of all levels and ages. When Glen was 15 years old, he attended a swimming camp for 3 weeks. He improved his swimming technique and fitness and won countless competitions after, set world records and participated in the Olympic Games. Through his own experiences and the realization of the potential of such swimming camps, he was prompted to offer swimming camps hisself. 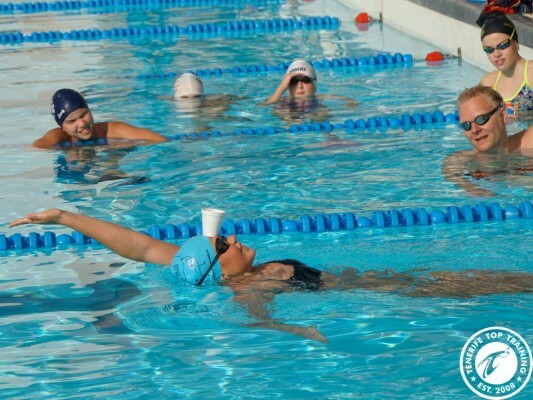 Glen has been successfully training swimmers from all over the world for over 30 years. In T3 he extends his flex camps. What are flex swimcamps? Glen’s flex camps run over a period of time, allowing you to flexibly attend to your wishes, needs, and available time, either the entire camp or a few days. Furthermore every swimmer will have the possibility to experience a session in the flume channel, for a technique analysis. Glen and his assistant coaches are on hand to give you advice and support and take a lot of time for each individual participant, be it a 10-year-old beginner, a 33-year-old competitive swimmer or the ambitious 64-year-old athlete Glen and his colleagues adjust the training according to your age and level of swimming, but the athletes are also very important to them personally. “Glen is really a motivation for my kids. They look up to him and Glen knows how to encourage and motivate everyone, like with the event ‘Swimmer of the Day'” said Ian, the father of two boys (10 and 13 years old) who have been to a couple of Glens swimming camps. The ‘Swimmer of the Day’ is a small event every morning that honors those who excelled the day before with their team spirit, progress or willpower. This gives one or the other a little extra kick and motivation. The camps always consist of a very diverse, international group. Egypt, Lebanon, Belgium, France, Romania, Estonia, Germany, Sweden, Norway and Great Britain are just a few of the countries Glens customers come from. “My boys not only have improvements in their swimming technique, but have generally improved, and the fact that it’s an international camp is great. They’ve made friends from other countries, learned about other nations, and the whole time was more than just swimming,” enthused Ian from Great Britain. This intercultural mix is a great experience for everyone, because when do you have the opportunity to meet people from so many different countries while practicing the sport you love? This individual support, the flexibility and the intercultural experience are the special features of Glen Christiansen swimming camps at T3. He not only wants the participants to improve their swimming technique, but also to get to know people from other countries, make friends and have fun. Like the Olympic motto: “The most important thing is not to win but to take part!”. If you want to be part of one of his camps, take a look here for more information.